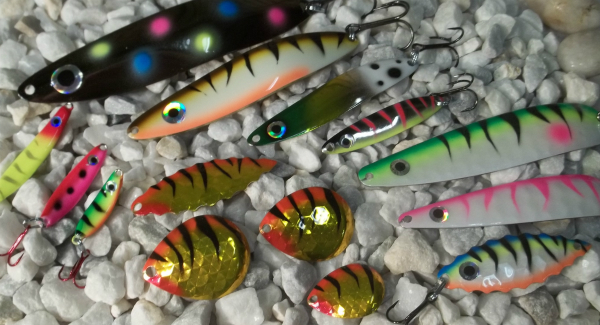 RJ Lures are hand crafted and painted in our shop in Houghton, Michigan located in the state’s Upper Peninsula. We use the highest quality components including VMC hooks. What makes our lures so special? They are fish proven and work for many different fish species! If you’re looking for an enjoyable day on the water or that tournament winning fish, RJ Lures can help you Get Bit!